Yet again, another prestigious recognition has been awarded to UPES by the internationally renowned Quacquarelli Symonds Limited (UK) (QS-Stars) in their Stars rating of Universities world wide. 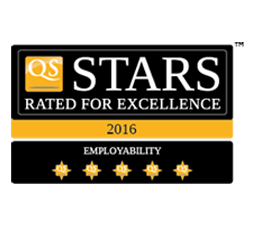 We are delighted to announce that UPES has been awarded Five Stars in two (2) categories of QS Stars rating namely Employability and Facilities; a stellar Four Star rating in Teaching and Three Star rating in Inclusiveness. 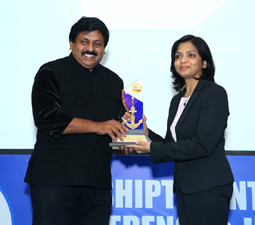 UPES was Awarded Best Training Institute Award,” for the Port and Shipping Management program at international SHIPTEK conference held at Dubai on 29th May 2016. On behalf of UPES, Ms Leena Wanganoo, Research Scholar, UPES based in Dubai has received the award. 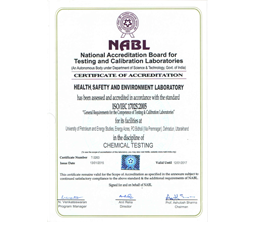 National Accreditation Board for Testing and Calibration Laboratories Certification. Health Safety & Environment Laboratory of University of Petroleum & Energy Studies(UPES), Dehradun is NABL (National Accreditation Board for Testing and Calibration Laboratories) certification. Now the Health Safety & Environment laboratory of University of Petroleum & Energy Studies(UPES) is certified by NABL for the purpose of analysis of air & water ( waste water & drinking water) bearing certification number T-3263. 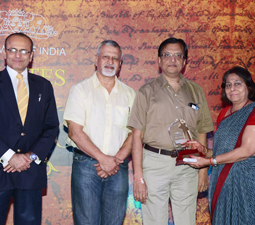 UPES felicitated at the Educator Award function organized by the Times of India. On behalf of Dr. Parag Diwan, Vice Chancellor, UPES; Ms. Deepa Verma , Director-HR & Institutional Affairs, UPES received at the function. This award was to felicitate the educationists who have made significant contributions towards modernization and expansion of education. 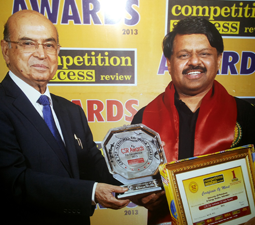 Awarded by Competition Success Review (CSR) under the category "Best Managed University". Mr. Sachdeva, Publisher, Founder, and Managing Director, CSR presented the award to Dr. Parag Diwan, Vice Chancellor, UPES.